If you don’t know your size but you have a ring that is the right size for you, you can measure the diameter in mm directly from the ring – this is your size. If you don’t have a ring, you can wrap a paper strip around your finger and measure this way the inside circumference. 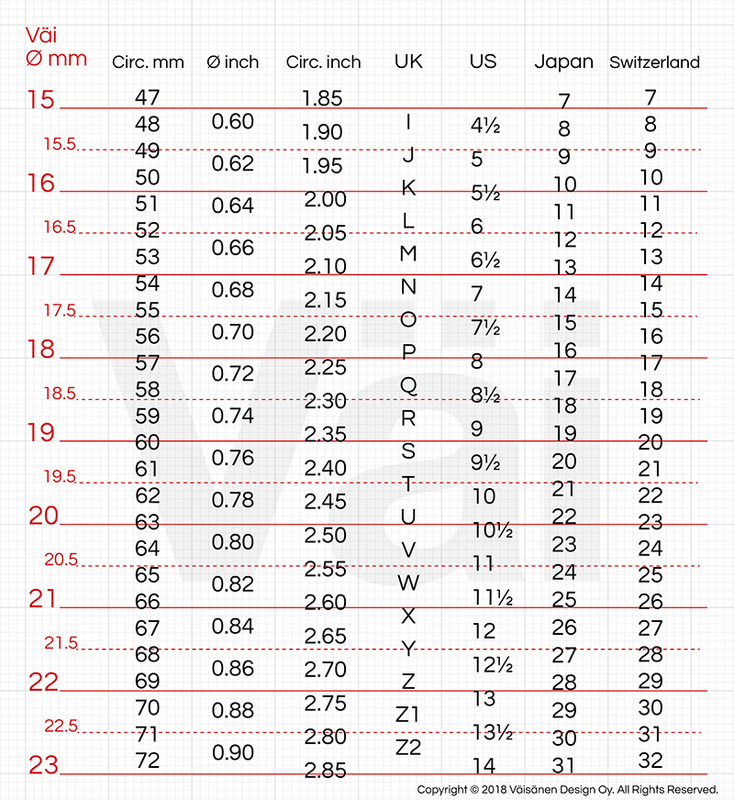 With this value you can see the right size in diameter from our chart.